Love is in the air, and there's a lot to love in theaters ahead of Valentine's Day this coming week. You might expect that there's a romantic-comedy seeing release in mid-February - and there is - but what you might not expect is that there is a film that you will absolutely LOVE in a different way...in fact, it's already a lock as one of the Best Films of 2019. It seems like everything that James Cameron touches, turns to gold. But can "Alita: Battle Angel" - a film co-wrote and produced by Cameron - overcome what looks to be an underwhelming box office and middling reviews thus far? I sure hope so, because "Alita: Battle Angel" is a ground-breaking, breath-taking achievement in filmmaking...a game-changing epic in the vein of "Lord of the Rings," "Avatar," or dare it be said, "Star Wars." Yes, "Alita: Battle Angel" is frickin' awesome, and despite its early-year release, it's guaranteed a spot as one of the best films of 2019. "Alita: Battle Angel" is based on the hit manga series by the legendary Yukito Kishiro, and is directed by Robert Rodriguez, the filmmaker responsible for successfully and perfectly adapting another graphic novel, "Sin City," to the big screen back in 2005. "Alita" is set in the distant future, the year 2563 to be exact when Earth has been devastated by an event simply known as "The Fall." In a junkyard, cyberpunk metropolis, people try to survive and dream of reaching the wealthy city of Zalem, a sky city that sort of hovers above the post-apocalyptic dystopia. A cyborg scientist (Christoph Waltz) comes across a discarded cyborg, and rebuilds her, only to discover that she is very special, indeed. Naming her Alita, they discover that she is some sort of unstoppable fighting machine, and she sets out to discover the secrets of her past. 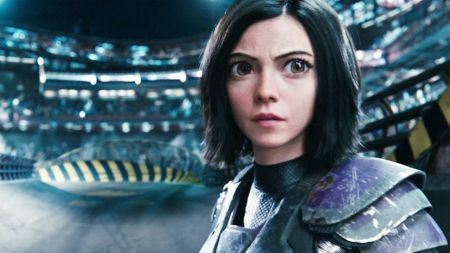 Alita is played by actress Rose Salazar, but is completely a CG character, created based on Salazar's motion-capture performance. It's a tremendous thing to behold, and maybe the best representation of a CG character of all-time, up to this point. The plot isn't all that original, but Cameron and Rodriguez are successful world-builders...this cinematic universe - like "Star Wars" or "Lord of the Rings" - stokes your imagination and is seemingly full of endless possibilities. "Alita: Battle Angel" fancies itself a saga, not just a one-shot, and it shows, but at the same time this is a complete film in and of itself, with a sort of dark, mischievous streak that feels refreshing, especially up against several of the other Young-Adult worlds we've been shown on-screen in recent years. There are stellar action sequences, time spent on character development, twists, and seen in 3D, it was sensory overload, meant as the highest form of a compliment. A few characters are less interesting than others, but all is forgiven. And the idea that she is an "angel" that has fallen from "heaven" is a theme that the movie only scratches upon, but it provides the film with a subtle touch of spirituality that makes it feel like more than just eye-candy. "Alita: Battle Angel" is one of the best films of 2019. Let's just hope it finds an audience, because this is what going to the movies is all about. Genre: Action, Romance, Sci-Fi. Run Time: 2 hours 2 minutes. Starring: Rosa Salazar, Christoph Waltz, Jennifer Connelly, Mahershala Ali, Jackie Earle Haley. Directed by Robert Rodriguez ("Machete," "Sin City," "Once Upon a Time in Mexico," "Desperado," "From Dusk Till Dawn"). If you're a fan of Rebel Wilson's strange comedic style, you may mildly enjoy her in the new romantic-comedy, "Isn't It Romantic." But she's been funnier, and deserves better than this lame attempt to satirize familiar rom-com tropes. Wilson plays Natalie, a girl who - like many - have grown up with unrealistic expectations derived from watching movies and television. She is a successful architect, but is taken advantage of at work, and can't even pick up on the fact that a co-worker, Josh (Adam Devine), is really into her. She bumps her head and then - presto! - she awakes to discover that she's trapped in a PG-13 romantic-comedy, where everything is wholesome, every moment is an opportunity for new love to blossom, and where every rom-com cliche has magically sprung to life. Liam Hemsworth plays her hunky boss - who before the magic had tried to boss Natalie around - but who now is suddenly smitten with her. It's always disappointing to watch a comedy that is based around the idea that the main actor is ugly, unbecoming or otherwise unattractive. Most of Wilson's comedy pulls from this. Odd then, that the film tries to spin its message into one of self-worth, but the lazy script and painfully unfunny characters ring hollow. The movie spends a lot of its time making fun of other rom-coms that we've seen, but is comfortable enough existing in the same space without one ounce of originality or inspiration. The much better "What Men Want" just came out a few weeks ago, and deals with many of the same themes, but is actually funny. By the time Wilson and gang break out in song (which is inevitable in a romantic-comedy, right? ), you feel bad for all of the actors, filmmakers and crew involved with this horrendous mishap. "Isn't it Romantic" isn't funny, it isn't original, it isn't much of anything, except spending screen-time with Rebel Wilson. In this case, that's not enough. Genre: Comedy, Fantasy, Romance. Run Time: 1 hour 28 minutes. Starring: Rebel Wilson, Liam Hemsworth, Priyanka Chopra, Adam Devine, Betty Gilpin. Directed by Todd Strauss-Schulson ("The Final Girls," "A Very Harold and Kumar 3D Christmas"). This movie was not reviewed and is opening in wide-release on Wednesday, Feb. 13th, 2019. Genre: Horror, Mystery, Thriller. Run Time: 1 hour 40 minutes. Starring: Jessica Rothe, Ruby Modine, Israel Broussard. Co-Written and Directed by Cristopher Landon ("Happy Death Day," "Scouts Guide to the Zombie Apocalypse"). All of these movies open Wednesday and Thursday, Feb. 13th and 14th, 2019. 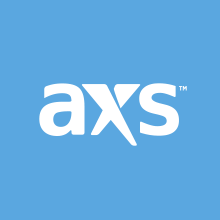 Check here for show times. Movies opening next weekend (Feb. 22nd) include: "Capernaum," "Fighting With My Family," "How To Train Your Dragon: The Hidden World."